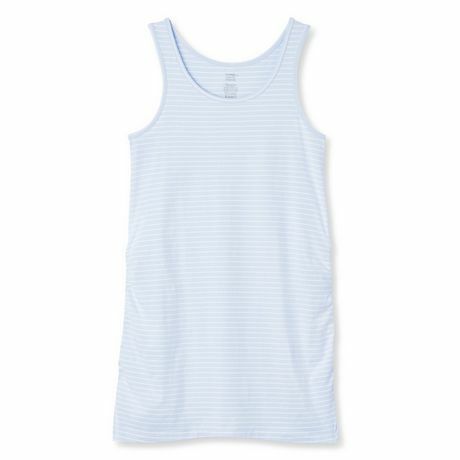 Layer up with this fitted jersey tank that features side ruching and a fun striped pattern. Not sure what size to buy in George Maternity? Reference the size chart to double check your measurements. We have built details into our maternity clothing to accommodate the extra room needed for a growing belly. Just look for the same size that you would buy in regular George!